Me – in flared jeans! Before you mutter ‘I don’t suit jeans’ please think again. There are literally hundreds of jeans brands spanning the globe. There are literally hundreds of designers creating styles in every shape and size. If you can’t bring yourself to wear jeans then add another pair of trousers to your ‘essentials’. Perhaps in navy or deep plum as these are colours that work well across the colour palette. I hope to goodness no one is reading this thinking ‘I’m too old for jeans’. Nonsense. Jeans can look good at virtually any age. Get the cut right and overall look of your outfit right and you will look good. The two women below prove this point perfectly. Whatever style or brand you choose they must fit your body shape well. Are you a skinny, straight, boot cut or flare sort of women? Here are some basic guidelines. Boot cut jeans are the most universally flattering as the slight flare at the bottom can balance out heavy thighs. Avoid skinny cut if you have really thin or chunky legs. If you have thin legs this cut will only make them look thinner which can have the effect of making your top half look too bulky, and if you have chunky legs – well, need I say more. Straight leg jeans look good on most body shapes, except pear shapes. Flared styles – which are making a real comeback – require reasonably long legs and a neat bottom. So, if you have short legs and/or a substantial rear end you probably should avoid. If you do opt for flares then consider what you wear on your feet. Heels look good but wedges can make your feet look too clumpy. If you prefer flat boots or shoes then ensure the hem covers you footwear bur doesn’t trail. One of my pet dislikes is where the bottom of jeans is frayed and dirty from trailing along the ground. Not stylish! Cropped jeans can look very chic although much depends, yet again, on what you decide to put on your feet. Elegant flats, loafers, sneakers all look good. For a more sophisticated look go for kitten heels or if your feet are up for it (and providing you can walk smoothly in high heels) go for stilettos. A neat ankle boot can also work well. The colour of the jeans is best kept to darker shades of denim. This is more flattering and also looks classier. Save the washed out denim for holidays. Do not be afraid to wear white jeans as they can look very stylish indeed. If you feel your hips are too wide then wear with a long tunic or cardigan. Distressed jeans. Please don’t! I personally dislike to see them on anyone over 40. I don’t think they should form any part of your Style Essentials. I was recently in Zara (always a pleasure) and spotted an older woman with chunky legs wearing a pale blue skinny cut pair, that were literally molded to her legs. There were pockets of flesh poking through the rips. Please be warned. Welcome to my blog, where I give you a range of tips, information and some great ‘secrets’, which will radically improve how you present yourself to the world. You’ll look better than ever and feel more at ease with how you look. Together we will work with style strategies for real women, just like you, that redefine what it means to dress well and present a stylish and rejuvenated image. Are you somewhat fed-up, even irritated, by the way women are portrayed in the media? The way we are constantly compared to our younger, often slimmer and more toned counterparts. The majority of women are not size 8 six feet tall Eastern European models. It’s time to redress the balance and, importantly, take control of our own style and regain our power. This is what my blog is all about. It’s not about slavishly following fashion and trends, it’s about finding a new more stylish you. It’s about rejuvenating your own style. You may need some slight tweaks or perhaps a complete overhaul. It’s up to you. All of the women shown have style, yet they are all different. Over the coming months we’ll look at what it means to be ‘stylish’. Together we will discover that while fashion can be exciting, and recognizing that in the UK we have and are consistently producing amazing young fashion designers, style has depth, focus and longevity. To be stylish is to have presence. I’m a ‘baby boomer’ who absolutely loves clothes, shoes, perfume, skincare – you get the picture! 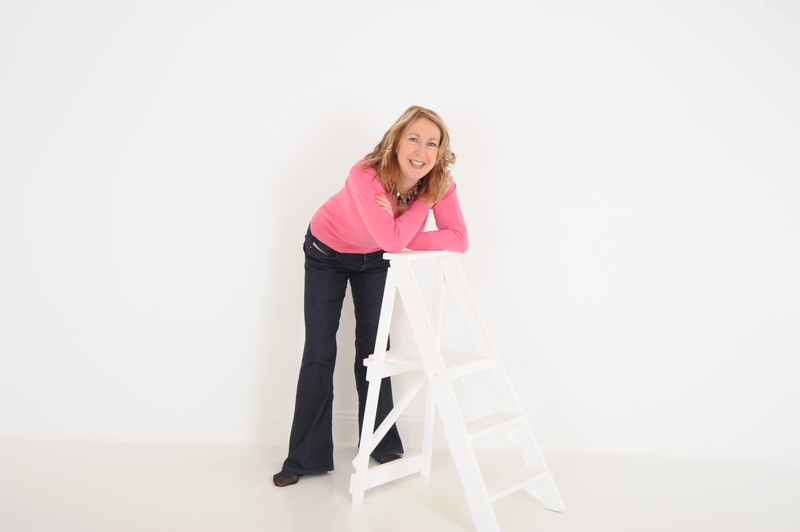 I am also a Leadership and Management consultant who has had the privilege to work with some fabulous organisations and even more fabulous corporate women. Me in my 60’s enjoying a festive season walk! My other business, started 3 years ago, is Style Rejuvenation, where I act as a style ‘partner’ and help women to edit their wardrobe, rejuvenate their overall look, create a capsule wardrobe, dress for that special occasion and, my favourite, partner them on shopping trips. If you loath shopping call on me. Take a look at Style Stories and read about the experience of some of my clients. Earlier this month I talked about the first step in healthy skin starting with a good cleansing regime. Part of this is to care for that very sensitive area of skin around our eyes. When I was a teenager Dusty Springfield inspired many girls to adopt very dark eye shadow and thick black liner. I wasn’t one of them as this look made my eyes disappear! I had a friend who embraced this kind of eye make-up and she ‘washed’ it off with water, soap and the vigorous use of a face cloth! I lost touch with her but can only hope she didn’t end up with dreadfully wrinkled skin. Even as a young girl I knew this aggressive rubbing could not be good. It is vital that you treat the delicate skin around the eye area with the utmost care. The cleanser you use on your face is not usually recommended for your eyes. I know many women use facial wipes to remove their eye make-up, and I’ll admit I’ve done this myself when I’ve been in a rush, however, you are liable to exert too much pressure and pull the skin. I find that a cotton wool pad is much more effective – and kinder. As most older women use eye make-up I’d like to share with you some of the products I’ve tried and the results I’ve obtained. Some are budget buys and some are more luxe. My All Time Favourite – worth every penny! Over the years I have tried many, many skin care products, eye make-up remover included, and nothing comes close to the performance of Chanel’s. It removes all trace of your eye make-up and leaves the skin soft and conditioned. 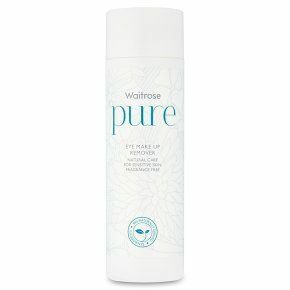 If you are on a budget then Waitrose own brand ‘Pure’ is excellent value. I discovered this by chance. I was staying away on business and had forgot to pack my Chanel. So I rushed into the nearest supermarket and picked up the first product I saw on the shelf. Under £2.00 and it works! Another good range is Caudalie. The products are a delight to use and are very gentle on your skin. The price is reasonable too. Despite using a gentle formula you may, like me, occasionally have puffy eyes (I’m an avid reader and I’m sure this doesn’t help!) so I always have a jar of Clinique All About Eyes to hand. My client is a busy business executive with little time, or inclination, for shopping. Added to which she is often travelling and working away from home. She wanted a capsule wardrobe that would travel well and some key tips on how to put the various items together. I always do my research so I asked her a series of questions to determine what additions to her wardrobe were needed and to get an idea of her lifestyle. We decided to devote a whole day to shopping. Me with an added spring in my step, because shopping is my favourite activity, and her with some reluctance and slightly gritted teeth!